NEW Version 2 - with the new BLUE BUTTON!! Get ready for no more limits. Version 1 of the Sky3DS has a 10 game limit, but version 2 with the new BLUE BUTTON Sky3DS removes that limit completely. Making the Sky3DS the easiest and most user friendly 3DS flasd card out there today. The newest 3DS flashcard, the Sky3DS card. With every update the Sky3DS has continued to work flawlessly and offers the same plug and play functionality as always. The new Sky3DS is the ultimate card and fully compatible with all version of the 3DS, 3DS XL, 2DS and the NEW Nintendo 3DS XL. UPDATED: August 2, 2018 Sky3DS+ Plus Supports All 3DS, 2DS, 3DS XL and NEW 3DS consoles up to version 11.8.0 It has been tested and works perfectly with the Nintendo 3DS, Nintendo 3DS XL, Nintendo 2DS and even the latest NEW 3DS that have been released.. This means that regardless of your 3DS version, the Sky3DS card works and plays 3DS games, and like a regular cartridge game - It's also extremely easy to use. Plug & Play, easy to use, Multi-rom support. 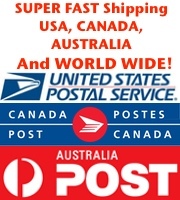 Supports all New 3DS / 3DSLL, 3DS / XL, 2DS consoles (US,EU,JP). Supports eShop and online game. 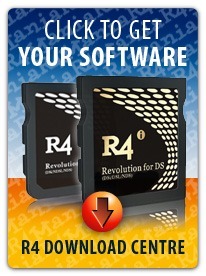 Compatible with any MicroSD 2GB,4GB,8GB,16GB,32GB,64GB,128GB SDHC cards. No more 10 game limit. The NEW Sky3DS Has no limit on the number of files. 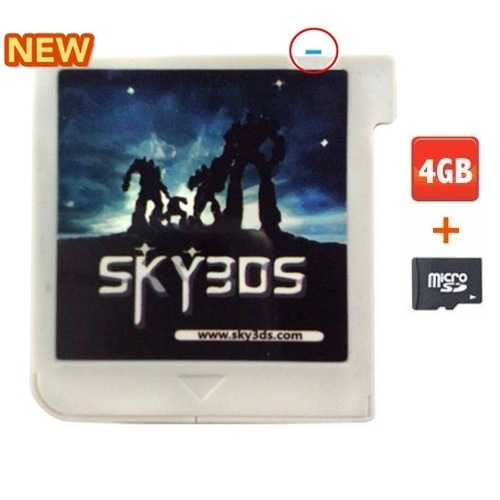 Click the button below to add the Sky3DS With 4GB MicroSD to your wish list.